The Reform think tank has produced a study showing that low skilled jobs are being rebranded as apprenticeships so that employers can gain training subsidies under the new funding regime. In response Unite has renewed its call for radical change to apprenticeships. Inside Housing has researched the response of housing associations which had welcomed the new funding arrangements with nearly two thirds saying they would increase the number of apprenticeships offered. As Inside Housing observes, there are disappointing findings. Of 180 associations polled, just 31 responded – half the number that responded last year. The reported increase was a mere 1.6%. Just 29% of housing association apprentices were women. Disturbingly, ethnic monitoring was incomplete with only 83% of associations that responded able to provide figures. The available figures show 87.2% white, 5.4% Black/Black British, 4.6% Asian/Asian British, 1.6% mixed and 1% other. As we recently reported Unite research shows a 14% increase in dead end courses in the construction sector. 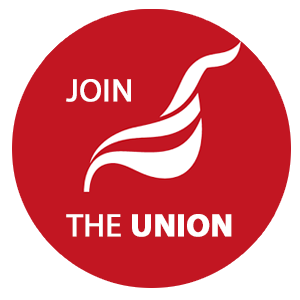 Commenting on today’s report from Reform Unite assistant general secretary Gail Cartmail said: “Unite has consistently supported high quality apprenticeships of which there are many good ones across a myriad of industries, such as engineering, construction and aerospace. “There are also some unscrupulous employers which are exploiting the levy system – and these practices need to be stamped on hard. “We, alongside many employers, believe that three year plus apprenticeships enable young people to hone their skills in their specialist trades – currently, employers can offer a 12 month apprenticeship and still qualify for financial support. “There may be a place for a 12 month apprenticeship in some sectors but, on behalf of young people especially, we believe all sectors should be more ambitious. “History tells us that not enough employers are stepping up to the plate to offer the high quality apprenticeships that the UK so desperately needs to tackle the UK skills gap and shortages. “It is paramount that there is a new generation of young skilled workers to underpin future growth in the economy. “For example, in the construction industry there are no shortage of young men and women wishing to take up apprenticeships. However, Unite research has shown that overall only 11 per cent of these applicants gain a construction apprenticeship. This drops to nine per cent for BAEM applicants and just six per cent for women. “There is a concern that this study from a centre-right think tank could be used as an argument for employers not to pay into the apprenticeship levy. Let us know how your housing association is addressing training and apprenticeships.